Zanmi Lakay is a non-profit organization dedicated to improving the quality of life for current and former street children in Haiti by providing educational and economic opportunities and resources to help these children while they are on the streets and to help build a life for them off the streets. In Haitian Kréyol, zanmi means friend and lakay means home. We wanted to choose a name that the kids would relate to and Zanmi Lakay translates to a friend’s home or safe place, and is also used a greeting among old friends. 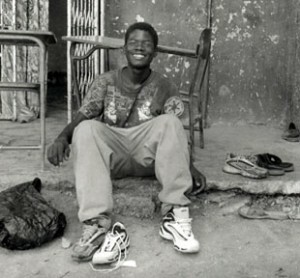 During my first trip to Haiti in 1997, I lived at Lafanmi Selavi, a home created for street children by Jean-Bertrand Aristide in 1986 when he was still a parish priest. Close to 500 children found their way to Lafanmi Selavi for a variety of reasons. Some were orphans or abandoned, others had been abused, many families could not afford to take care of their kids, and many were restaveks or child slaves. I took their pictures and got to know them during the years I worked on my documentary project and taught Photography Workshops. When Lafanmi Selavi closed in 2000, many children no longer had the opportunity to go to school, a place to sleep, food and clothing, sports, music, art, or a family that their former home provided. Street life was harsh, miserable, and dangerous and they needed help. They wanted to go to school, a place to live, to be safe, and to contribute to society. 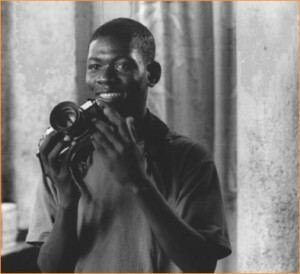 Zanmi Lakay was created because of the growing needs of street children in Haiti, and the seed was the Photography Workshops. Haiti has been plagued by political violence for most of its history. In the context of extreme economic and political instability, the vulnerability of children rises significantly. Through our education and outreach programs, photography workshops, summer camps, computer and business classes, and partnerships our goal is to break the continuing cycle of life on the street for children in Haiti by providing education, training, resources, support, and options for a better and brighter future. Haiti’s early history is slavery, succeeded almost continuously by even more brutal tyranny. As a result, 80% of Haitians live in abject poverty, at least 50% are illiterate, and two thirds have no formal employment. Over half of the population is under the age of 18. 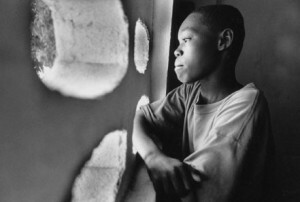 According to UNICEF, more than 300,000 Haitian children are restaveks, and 200,000 have lost one or both parents to AIDS. 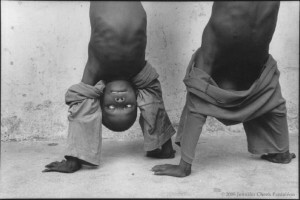 The number of street children is estimated to be around 250,000, and assistance is inadequate. All of the parents we know who currently or in the past lived on the streets want their own children to stay in school for the obvious reason of a better life. If the children of Haiti have no future, neither does their country. Our programs are the difference between life on the streets or an opportunity for something more, and our purpose is to give some of those children a chance. We hope others who share their hemisphere will help us. Hundreds of children from Port-au-Prince, Cite Soleil, and Jacmel have experienced our Photography Workshops, and five annual Jouk Li Jou Kan Foto – Youth Photo Camps that ran from 2011-2015 in Jacmel. Please click on the Photography tab for the full story, workshop details, and student galleries. 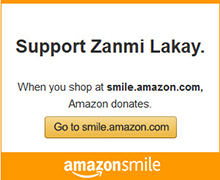 Zanmi Lakay’s School Scholarship Program began in 2009 because the families of too many children we knew could not afford for them to go to school. For the 2016/17 school year, we are sponsoring 44 students in five cities to go to school. We are working to elevate a community of street children by giving them an education to break the cycle of life that has them living on the streets. This simple purpose of our School Sponsorship Program is to give children the chance to go to school that would otherwise not have the possibility. Children are paired with sponsors and the cost is $300 per year for school fees and uniform. Our Program Administrator in Haiti, Joel Petion, gathers student and family information, and pays all needed fees directly to the schools. As the second generation of street children from Lafanmi Selavi, who these children are and the connections we have with their parents is unique. Most of these children know each other – their parents are friends and orphans who grew up together, and almost all of our School Sponsorship recipients are children of children I knew when I first came to Haiti. None of them would be going to school if they weren’t enrolled in our program. Our outreach services grew from the needs of children actually living on the streets. Their sources of income are washing cars, begging, prostitution, working for bus drivers, or temporary manual labor chores amounting to nothing but maybe some food money. For a handful of kids, we give shoes, jeans and other clothing, backpacks, care bags, cash for food, transportation, and living assistance. Care bags are large Ziploc baggies containing daily living needs such as t-shirts, shampoo, soap, toothbrush and toothpaste, and any other basic living supplies that are donated in enough quantity. We help older kids as we can providing resources during a very critical time in their lives. The ones that lived in group homes were asked to leave at a certain age, and those that are homeless are considered much too risky to invest in. We believe that the skills these kids acquire to survive on the streets can be utilized in a positive way, and we give them that chance through opportunities to finish Classic School, for special training, and trade school certifications. School expenses and art supplies, soaps and shampoos, clothing and shoes, backpacks, and care bags are also donated to children living in group homes or involved with neighborhood and community organizations. When children have medical or dental problems, we find doctors and pay for medical expenses, and we strive to build relationships within the community to create a strong network to better access available resources that are needed to help the kids. We bring many donations to Haiti for the children living in the streets, in group homes, and also for other organizations working with disadvantage youth. We collect donations from private individuals, at our Ti Machés, and collaborate with schools organizing class projects, events and presentations about Haiti and the street children. See our Wish List below. Care Bag items: toothpaste, toothbrushes, soap, new adult size t-shirts, travel size shampoo, afro combs, etc.